This was the first event for Care Leavers in West Sussex, held at the Glynn Owen Centre. 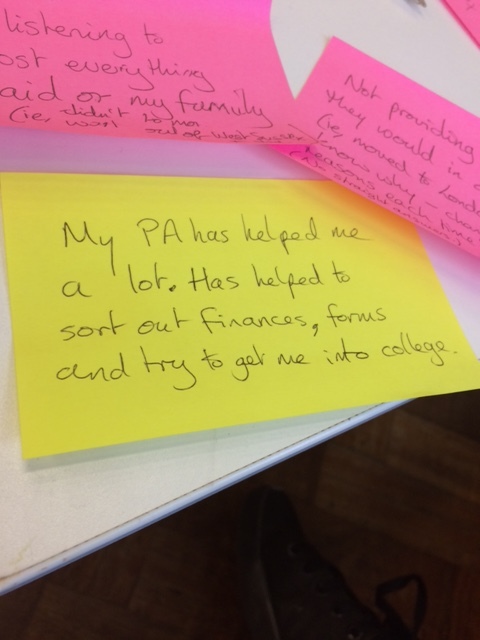 The aim of the event was to review how the Leaving care service has been for them since age eighteen and ideas about how to develop a care leavers group. The day started with welcomes from Graham Vagg, Head of Leaving Care service and Richard Rollinson from the National Care leavers Foundation, setting the importance and impact care leavers forum have on services. Care leavers discussed what has worked well and what has worked not so well. Social worker never visited me and seemed to have no interest in anything to do with me. As a care leaver with no family I struggled finding places to live and social services allowed me to live in a B&B and then a hostel. They left me to go to the council and told me it wasn’t anything to do with them. The group was then asked to think of solutions to some of these problems if they were in charge of the Leaving care service. Change the council housing policy in relation to “local connection”, as its not our fault we have been living in different places and can’t meet the 2 year rule. The group looked at what they would like the new care leaver’s forum to look like and do. Seven of those who attended said that they would like to take part in future care leaver’s forum meetings. Meetings and venue booked for: Monday 7th December @ The Glynn.